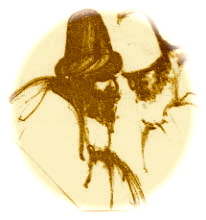 These events are a fairly spontaneous blend of Rumi poems, aspects of his life story, and some of the tales he told – all as a means to allow some of Rumi’s extraordinary blessing, his heart nourishing wisdom, passion and humour to come through to us – in the end, as blessing, as silence, as grace. 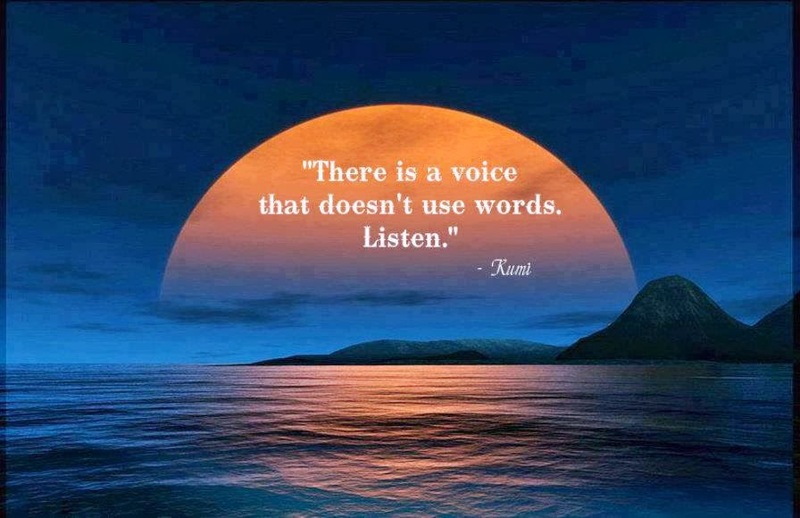 Duncan is a master story teller and has been performing Rumi world-wide for over 25 years. He is an actor, director and teacher and trained in the Rudolf Steiner School. He was a co-founder of the Rose Theatre Company performing Shakespeare. 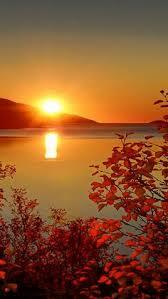 His love is to the dynamic mystery of Presence and the open spaces where we can deepen our contact with the Divine. In these workshops we gather as a living alchemical crucible to gently allow the elixir of the loving intelligence of The Presence to work its spontaneous subtle alchemy in and through us. In the crucible of our mutual attention, Presence becomes the alchemical elixir and support for our transformation and awakening. In this workshop we will gently explore relaxing into the fundamental aspects of our direct experience as Awareness, Feeling, and Sensation, to create a foundation for further deepening in later workshops. In good company and through simple practices of mutual attention, meditation, enquiry, we support each other’s opening and exploration. Please dress comfortably and bring a blanket and cushion if you can ! And a little food to share for lunch. “It’s remarkable – so instantly to have felt myself in that deeper place of presence. This event is organised by the dear folk at LLANSOR MILL, who will host at their lovely venue in Wales…I hope to see some of you there unfolding in the Mystery ! 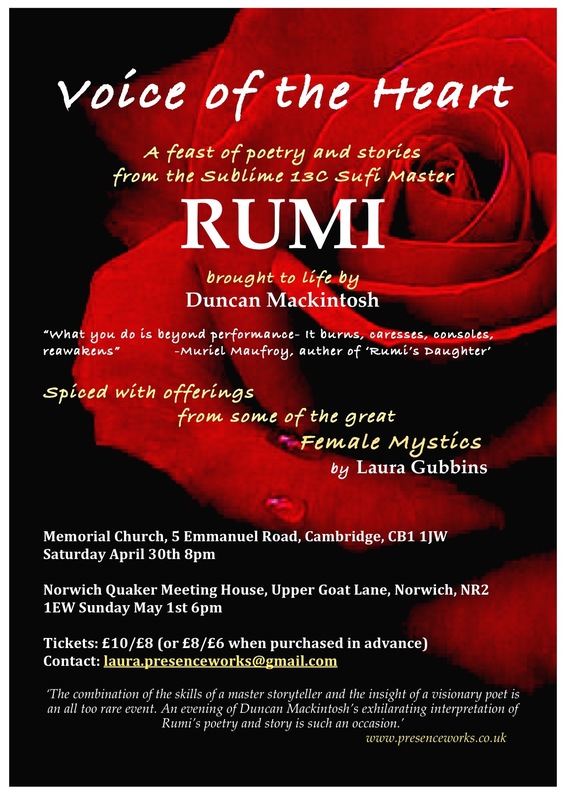 Duncan Mackintosh offers a contemplative workshop on awakening love and presence, which is complemented by his performance skills a reciter of Rumi. Laugh at yourself and life in the best of company! Come and enjoy this magical late summer festival weekend . Camping options, barbecue, bonfire , weather permitting. The ‘Alchemy of Presence’ springs fundamentally from the recognition that there is a profound impulse in Being to ‘remedy’ the most ancient and subtle wound human beings suffer – the sense of separation seemingly inherent in embodiment. with the truth of our actual experience in the context of deepening into Presence. and works with us- gently, tenderly- exactly as we are, to unfold and reconnect us. In this day workshop we will gently enquire into our direct experience, allowing our mutual presence and dedicated attention to create the crucible for this subtle alchemy. that support our deepening and embodiment. My soul leapt with joy! In this ‘holy work’ we may practice simple exercises for deepening and relaxing into contact with our true nature, free of doctrines and beliefs. In the alchemical crucible of our mutual attention, Presence becomes the healing elixir and support for our transformation and awakening. You already have the precious mixture that will make you well – use it! 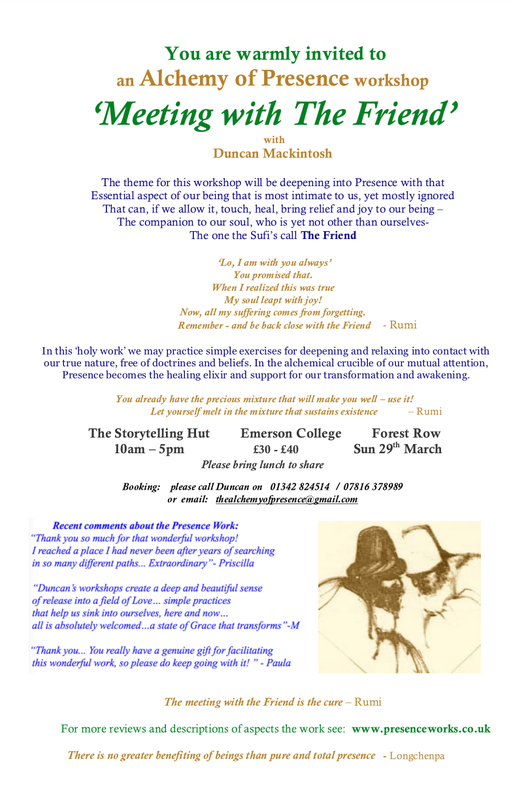 “Duncan’s workshops create a deep and beautiful sense of release into a field of Love… simple practices that help us sink into ourselves, here and now… all is absolutely welcomed. 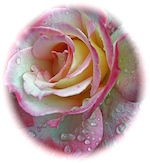 We discover an all-pervading bedrock of compassion and acceptance for ourselves… a state of Grace that transforms; the most powerful spiritual work I have come across.” – M.